Choosing a local storage facility to store your belongings and valuables in is no easy task, especially when there are plenty of available options to choose from. One of the most important factors to consider when choosing a storage facility is whether or not they are secure. It’s not as easy as driving by to determine how secure self-storage facilities are. In fact, to ensure the facility is secure enough to store your items, it is better to visit the facility personally. Many factors come into play when determining how safe your belongings are in a storage unit, and it starts with the storage company. You will want to look at the features that the company offers with each unit. Keep reading to find out what features to look for in self-storage facilities. Every reputable storage facility will offer multiple security features to not only help keep your belongings safe and secure, but allow you to gain peace of mind knowing that your items are protected. Today, just about every reliable facility will have a security system in place, so if the one you’re looking at doesn’t, it’s time to continue your search so you are not left in the dark, literally! Here are some features to keep an eye out for. A digital surveillance system records the activity that happens on the property of a storage facility 24/7. When visiting a storage facility to see if its the best choice, be sure to ask questions about what kind of surveillance is provided by the storage facility. Look for surveillance that is stored digitally, as this is far superior to tape storage as digital surveillance offers the best quality of video with a low risk of a coverage lapse. Some storage companies have their storage units accessible to the public; this is a huge red flag! Instead, you will want to store your items with a company that has access system that requires customers and employees entering the property to enter a unique access code at gates and doors. This security measure greatly limits who can access the storage facility and allows us to review who has entered and exited the property if necessary. Many people don’t really consider the importance of lighting at a storage facility mostly because they access their rental storage units during the day. However, property lighting is essential for the security and protection of your belongings. When the area is well lit, it will better deter trespassing and theft but it’s also vital for other security features. For example, video surveillance is only effective if the area is well lit. Burglars are trained to know the vulnerabilities of a property. Whether it’s damaged fencing or a gate access keypad, when you choosing a self-storage facility, it’s important to know that if a maintenance issue comes up that it will be addressed promptly. 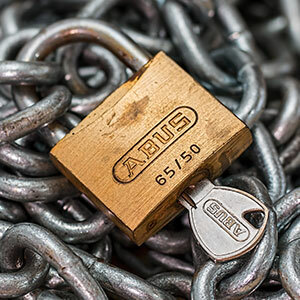 Storage facilities that are understaffed or lack the proper resources are much more susceptible to theft than a property that is continuously maintained. Find Secure Storage Units in Loveland, CO At J&B Storage! 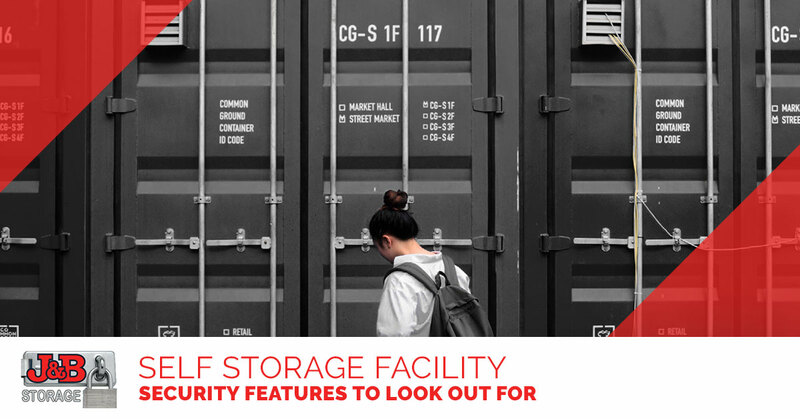 These are just a few of the security features you should be on the lookout for when looking for a storage unit rental. If you are in need of a reliable storage facility in Loveland, CO J&B Storage is your go-to choice. For the past 20 years, we’ve taken safety and security very seriously at our 24-hour self-storage facility. With on-site management and security, you can rest assured that your belongings will remain secure. Whether you need monthly storage unit rental or a long-term solution, you can rely on us! Contact us today for a free quote.